Should I Repair My Camera? 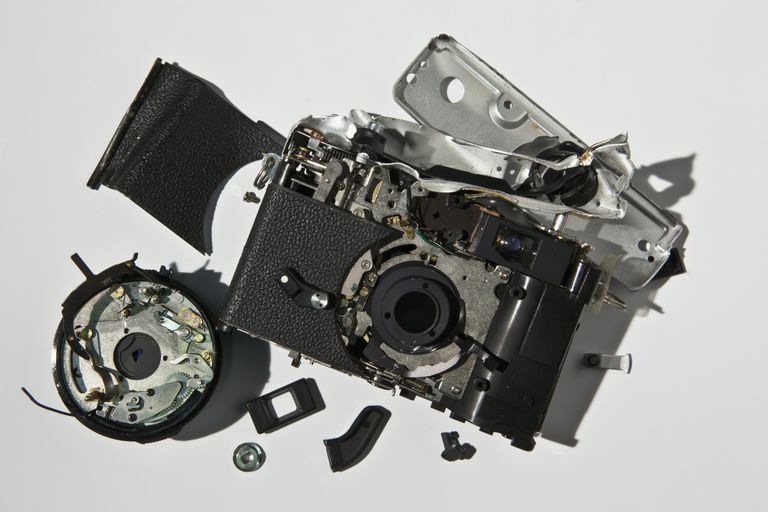 Deciding when and if to send in a digital camera for repair isn't as easy as it sounds. Finding the best buy in a camera repair center is a challenge, as you want to make sure you're receiving a fair price for your repair. You also want a trustworthy repair option. Ultimately, though, you want to be sure the problem with your camera isn't something simple that you could fix yourself and save some money. You have several different things to consider as you make the decision about repairing a camera versus cutting your losses and purchasing a new camera. Before sending it in, be sure you've checked the camera for all of the "easy" problems, such as a discharged battery, a malfunctioning memory card, or a dirty lens. Such problems don't require a repair center to fix... just some common sense. If you're having a particular problem with the camera, check the manufacturer's Web site for any service announcements related to your model. If the camera's problem is related to a recall, you can have the repair done for free. You also may be able to fix the problem with your camera by downloading and installing any firmware upgrades for it. Check the manufacturer's Web site to see if firmware updates are available. Along similar lines, if the problem you're having with your camera is covered under the manufacturer's warranty, always send in the camera for repair. Never turn down a free repair from a professional repair center. Check the camera's user guide for any clues to fixing a simple problem yourself, especially the "troubleshooting" area of the user guide. The camera manufacturer's Web site should have digital copies of the user guide and possibly a troubleshooting FAQ that you can use as well. Most of the troubleshooting tips in the user guide are simple fixes you can perform yourself. Before choosing the cost of a repair, consider how "roughly" the camera has been treated. For example, if you've dropped the camera a few times, its future lifespan has been shortened, meaning it might not be worth spending a lot on a repair. Try to take emotion out of the decision about repairing the camera. It's easy to become attached to a particular camera, especially if you've shot some memorable photos with it over the years. But, to make the soundest financial decision about a camera repair, you need to remember that the photos reflect the memories you've created, not necessarily the camera itself. If your camera is an older model and out of warranty, it might not be worth repairing, depending on the problem. Contact the repair center to see if they'll give you a cost estimate or some advice. For a DSLR camera, repairing even an older model makes more sense because the DSLR model will cost more to replace than a point and shoot camera. In addition, you probably have invested in some lenses and other accessory equipment that may be specific to your model, making a repair make more financial sense. Finally, always take into account the current value of your camera when considering a repair. For example, if you bought the camera three years ago for $300, it's current value might be half that amount. If the repair center then quotes you $200 for a repair, you might be better served spending that $200 on a new camera, because the features and technologies in the new $200 camera probably are at least equal to — if not better than — the features on your three-year-old camera.